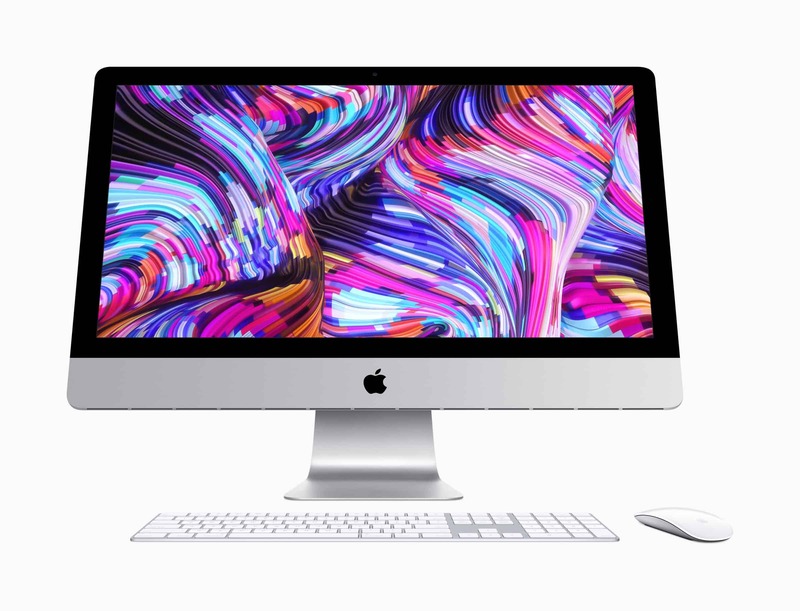 Apple just updated their iMac lineup with faster Radeon Pro Vega graphics, and 9th-gen Intel CPUs. As of this writing you will have to give $5,249 to Apple for the above 27-inch configuration. As of this writing you will have to give $3,349 to Apple for the above 21.5-inch configuration. You can of course opt for lower specs to save some money. If you go for 16GB memory on the 27-inch instead of 64, it will cost you “only” $2,899. Design and display-wise it is still the same as the 2012-model. Silver is the only color available as space-grey is reserved for the iMac Pro. These iMacs doesn’t have any T-series chip as the iMac pro has. Apple also updated the iMac pro with the possibility to add 256GB RAM, and an Radeon Pro Vega 64X option.